Are you travelling to Guernsey? Not sure how to get your personal belongings there? Let My Baggage take care of things. My Baggage makes worldwide luggage delivery convenient and affordable for those travelling to Guernsey. Situated on the English Channel, near the French Coast is the Island of Guernsey. This island is self governing and independent, which means they are not part of the United Kingdom but still remain dependencies of the crown. Guernsey is a popular location for holiday makers and those relocating due to it’s mild climate and a diverse selection of things to do and see. 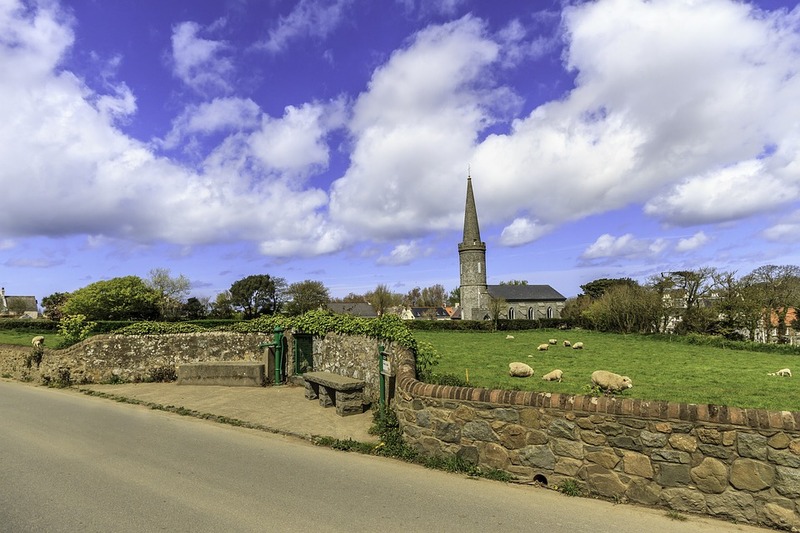 The scenic Landscape Guernsey has to offer is unforgettable. It is made up of a long coastline, white sanded bays and staggered cliffs. Castle Cornet – This historic castle is situated in St.Peters Port and offers a fascinating insight into the history of the Island. It has been there for over 800 years, meaning there is a lot to see and learn here. The Castle is much bigger than it looks from the outside, when you enter you will be shocked at how big it actually is, with 5 museums, 4 gardens and much more, there’s plenty to do here. The Little Chapel – Situated in Les Vauxbelets in Guernsey, The Little Chapel is the third one built by Brother Déodat. It is a miniature of the world famous grotto and basilica at Lourdes. The first Little Chapel made in Guernsey was criticised, so the creator demolished it and built a second. The bishop did not fit into the second Little Chapel so it was then demolished again and Brother Déodat built the third one that is still standing in Guernsey today. The little chapel is indeed very small. It is measured at 16 feet by 9 feet, which is tiny but much bigger than the original that was 9 feet long by 4.5 feet wide. It is beautifully designed and attracts many visitors from around the world with the history surrounding it, dating back to 1913 when Brother Déodat first arrived in Guernsey. The Fairy Ring – The mysterious Fairy Ring is a huge circle in the ground and is often referred to as ‘Table des Pions’. It is said that if you walk around this fairy ring three times and make a wish, that your wish should come true. Regardless of superstitious beliefs, the Fairy Ring is a popular tourist destination for many to visit in order to find out more about the history surrounding this area and enjoy the stunning backdrop of staggered cliffs and roaring sea that comes with it. Shipping your luggage with My Baggage can take some of the stress away from travelling to Guernsey. We offer a range of services that are available to everyone. Have a look at reasons why you should use My Baggage. We pride ourselves in offering top customer service. Our team of customer service experts are contactable through phone, email and live chat. We like to ensure our customers are happy when using our services and their expectations are met. If you have any queries at any point during the booking process, simply contact us and we’ll help you out. Here at My Baggage, we like to keep our prices low and our customers happy. Our services are affordable as we know how expensive travelling can be and the last thing you want to do is pay super high charges to get your belongings to your destination. If you find a cheaper option elsewhere but still want to use our service, get in touch and we’ll try to match it! Travelling can be a little stressful, the more convenient things are, the better. That’s why our online booking process is super easy to use, you can book your My Baggage shipment in just a few clicks. Once you’ve booked, you will be asked to print off a few labels and attach them to your shipment. After this, a driver will collect your luggage from your front door and it will then be delivered to the door of your destination. There’s not very much you have to do yourself, which means you can spend that valuable time ticking other things off your list before you jet off! My Baggage doesn’t just ship luggage. We can ship a range of things on our services and it’s all affordable. This means you can take the stuff you really want or need with you to Guernsey without having to pay a ridiculously high price. If you’re not wanting to pay expensive airline fees for having oversized bags and using a traditional removal company is out of your budget, the affordable alternative is to ship your luggage with us. This also means you don’t have to carry heavy, oversized luggage with you on your travels. If you’re heading to Guernsey and you’re passionate about music or a particular sport, you might want to have your own instrument or sporting equipment with you. This could be for personal use during your free time, for a competition you are competing in or to participate in a concert. Whatever your reason, My Baggage can ship these items for you. Please ensure your belongings are packaged securely. We recommend that you pack these items using a strong cardboard box and internal packaging such as newspapers and bubble wrap. Customs regulations differs depending on where you are shipping your items from and to. My Baggage shipments generally clear customs in a timely manner, free from duties and taxes, as most countries offer a generous duty-free allowance for personal effects. We recommend that you undertake some research into the customs of the country you are shipping your goods to. If you follow the correct custom information for Guernsey, it is more likely that your belongings will arrive in your destination on the date you expected. However, My Baggage has no control over custom regulations so it is strongly advised that you do research prior to sending your shipment with us. When sending a My Baggage shipment, you can send your belongings in Cardboard boxes/suitcases or indeed, a mixture of both. It is important that your packaging is strong.When using a cardboard box, please use a double or triple walled one to secure your belongings. If sending fragile items, do use internal packaging such as bubble wrap or newspaper ect. to protect your items from damage. You can read through our complete packaging guide to find out more information. When sending stuff with My Baggage, you can send almost everything that you’d find in a typical holiday suitcase. However, there are some items that are prohibited on our service, this is standard with most shipping companies. Please make yourself aware of our prohibited and non-compensation items by reading the full list here. 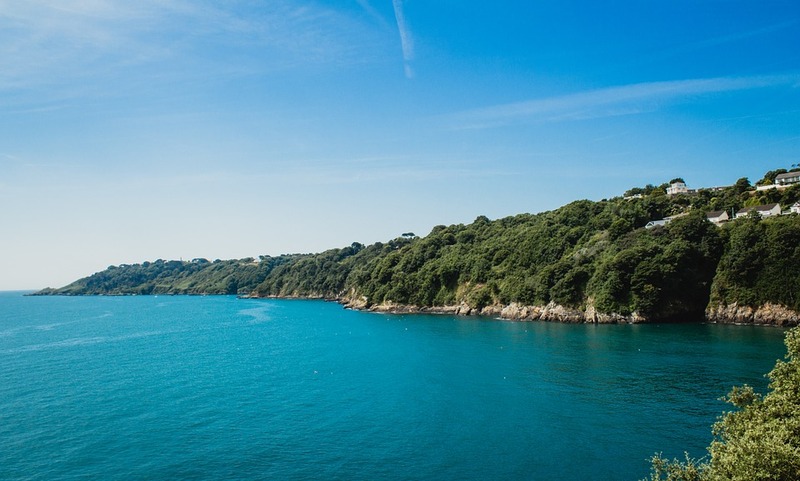 As customs processes differ, depending on what part of the world you are travelling to, we recommend that you take some time to research what items may be prohibited in Guernsey. Booking with My Baggage is quick and easy, you can do it in a few simple clicks. Start the booking process by getting a quote (click the ‘get quote’ box below), once you’ve booked we will send you some labels to attach onto your My Baggage shipment, then you can sit back and relax! Yes, that’s all you have to do! We will then send a driver to pick up your luggage and send it directly to your chosen destination in Guernsey. If you’re wanting to know the whereabouts of your luggage at any point, simply have a look at your online account for full online tracking of your shipment and here you’ll see what stage your shipment is in.